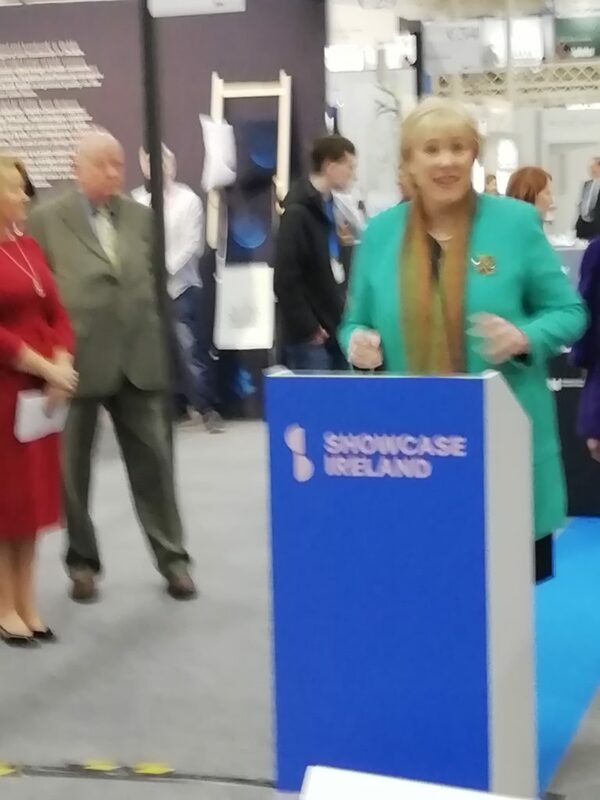 Minister for Business, Enterprise, and Innovation, Heather Humphreys officially opened SHOWCASE at the RDS, Dublin today. Now in its 43rd year, Showcase is one of Ireland's most important international trade fairs and will welsome buyers from 2,5580 retail businesses from 26 countries worldwide, including Ireland, the UK, USA, Mainland Europe and the Far East. The event runs until Wednesday 23rd January 2019. Showcase has enjoyed strong growth in recent years. In 2018, attending buyers placed B2B sales orders of 23.9 million euro over the four days, and increase of 12.7% on the previous year, equating to annual revenues of 152.5 million euro for the exhibitors. The Design & Crafts Council of Ireland, is optimistic that the fair will see further growth in sales orders in 2019 despite international headwinds. 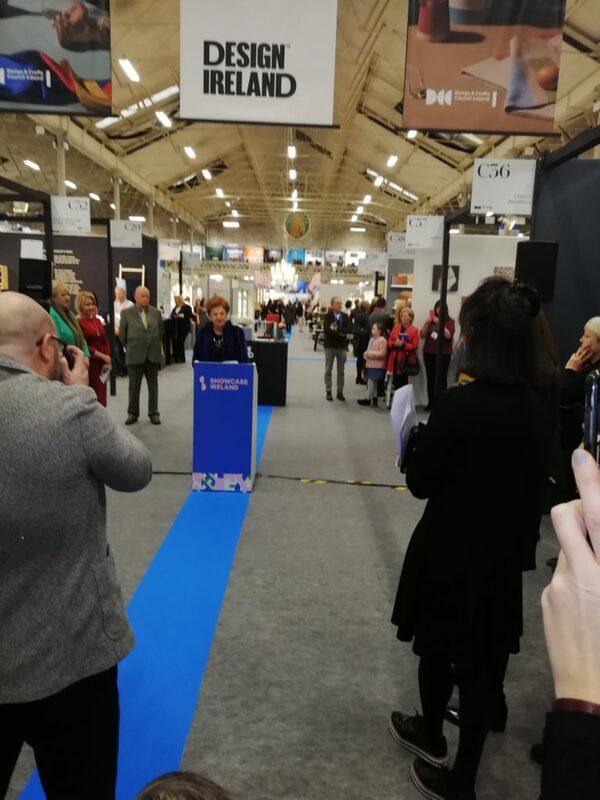 Minister Humphreys said: "The quality of the work on display at Showcase is a testament to the vibrancy and diversity of the design and craft sector which makes an immense contribution to Ireland's economy and culture and provides vital sustainable jobs in every region of the country. Export diversification is essential for the design and crafts sectors to build resilience. This annual fair offers ambitious Irish designers and makers eager to break into the export market or expand their existing international presence an unparalleled opportunity to connect with buyers from around the world and secure orders for the coming year, maximising the potential for future growth and job creation. I wish both exhibitors and buyers a very productive show and every success throughout 2019." Showcase 2019 sees the premiere of the fashion film, Fí, directed by celebrated filmmaker Perry Ogden and styled by Paula Hughes. The word Fí means to weave a fabric or a story, and it was also used in old Irish to describe interlacing and closely knit communities. The film was commissioned by Showcase to highlight the breadth of creative and manufacturing talent in Ireland's fashion and textile sector, which designs and creates the finest quality products that last, positively contributing to the idea of a circular economy while sustaining regional and rural communities all across Ireland. Fí features the work of over 40 designers and is being shown twice daily in the Minerva Suite at the RDS. The Design Ireland area, presented by the Design & Crafts Council of Ireland, in the Main Hall features 70 leading Irish makers chosen by an independent selection panel of retailers for their innovation, craftsmanship and export potential. Specially curated category displays throughout the show present the Best Product Award winners along with an edited selection of the most interesting and innovative products at Showcase, designed to make sourcing easier for attending buyers. 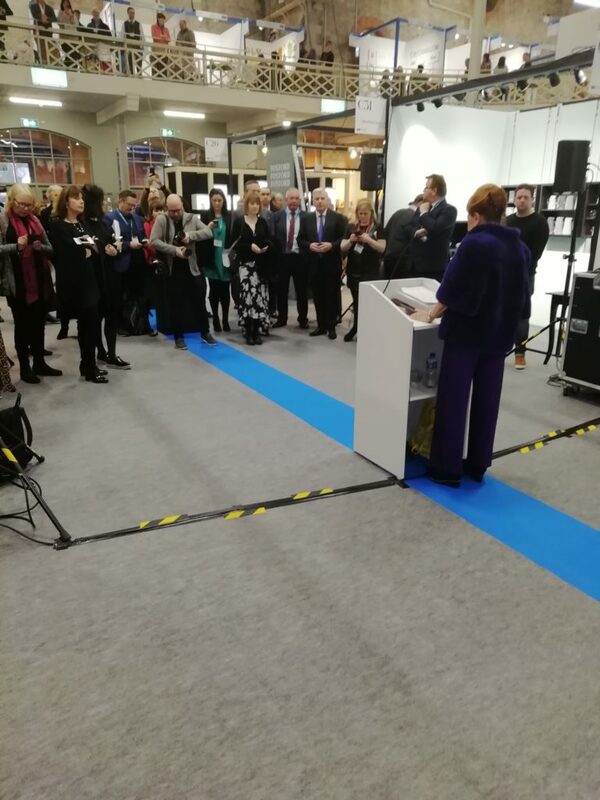 Showcase is presented on behalf of the Design & Crafts Council of Ireland with support from Enterprise Ireland in promoting the trade show internationally through their network of 33 offices overseas, and the Local Enterprise Offices nationwide. Karen Hennessy, Chief Executive of the Design & Crafts Council of Ireland, said: "Showcase is central to the Design & Crafts Council of Ireland's strategy of supporting client companies in the domestic market and building the international reputation and commercial potential of the Irish design and craft sector. Each year the show provides a unique platform for hundreds of designers and makers from across Ireland to meet and do business with domestic and international buyers, enabling them to potentially grow and scale up to extend their market reach. We are delighted to work in partnership with the Department of Business, Enterprise & Innovation, Enterprise Ireland, and the Local Enterprise Offices in supporting and guiding client companies in their commercial development. Working together, our aim is to ensure our clients continue to grow, innovate and successfully compete at home and abroad and to support them in addressing the challenges and opportunities arising from Brexit while uncertainty continues in the marketplace." Showcase is promoted internationally by Enterprise Ireland through its network of 33 overseas offices. Stephen Creaner, Executive Director, Industrial, Lifesciences and Consumer, Enterprise Ireland, added "Showcase is a leading platform for Irish companies in the consumer sector to stage their world-class design and craft products to an audience of discerning international buyers. Every year, Enterprise Ireland's overseas teams identify these buyers from the top markets for consumer products across the world and invite them to attend the event. This year, I'm delighted to say that we are joined by over 200 international buyers, journalists and bloggers with a mix of both new and returning visitors within the group. Global buyers from the US, Japan, Europe and the UK, intent on sourcing unique products, and drawn here by the special appeal and unrivalled quality of products that Irish consumer companies have to offer. The global ambition of Irish consumer retail companies exhibiting at Showcase is clearly evident and Enterprise Ireland will work to support them in growing their businesses and entering and expanding in export markets." The Local Enterprise Showcase, which will once again fully occupy the balcony of the Main Hall at the RDS will feature some of the newest and exciting emerging makers from around the country. Oisin Geoghegan, Chair of the network of Local Enterprise Offices, said: "The Local Enterprise Showcase here at Showcase is one of the most exciting and innovative areas of the show. These are the small creative businesses who are beginning their journey into the world of craft and design and working closely with their Local Enterprise Office to help them progress. In previous years, we have seen some amazing businesses go on from the Local Enterprise Showcase to make waves internationally and no doubt some of the future stars of craft and design are here today too. With thousands of Irish and international buyers attending Showcase this is an unbelievable opportunity for them to meet a buyer who may bring them international and potentially change their business forever."